The blue banded 601 Serie is a box press edition in the 601 Serie. It is handmade in Esteli, Nicaragua, exclusively for United Tobacco by Pepin Garcia. This version of the 601 is an exquisite blend of aged Nicaraguan tobaccos wrapped in exquisite, oily Nicaraguan Habano Maduro. The finished cigar has been slightly box pressed to create the perfect smoke. 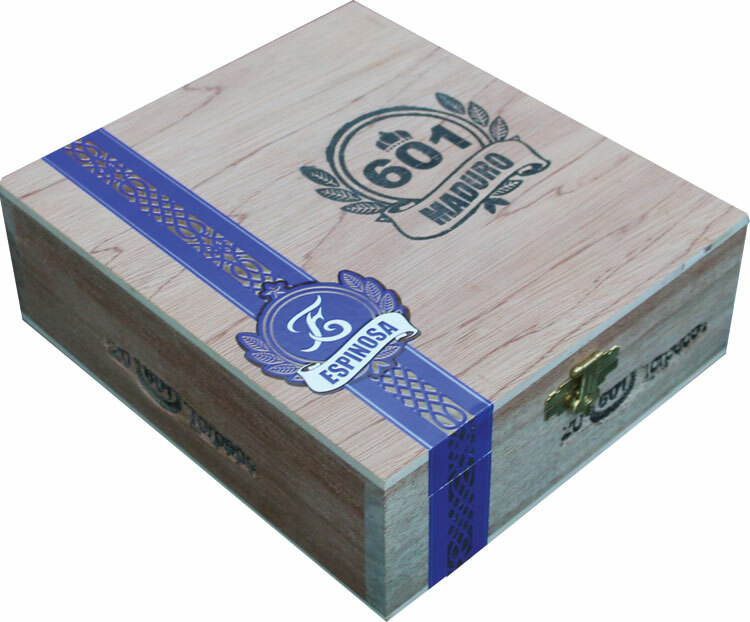 The 601 Blue is a full bodied cigar which has been perfectly blended to exude a superb taste, flavor and aroma. If your preference is always for flavor over strength, this is the 601 for you. This cigar has been highly rated by Cigar Aficionado, Cigar Insider, Cigar Press, Cigar Snob and Smoke Magazine. It was also sleeted as Best of the Best for 2008 by Robb Report's 20th Annual Best of the Best report.